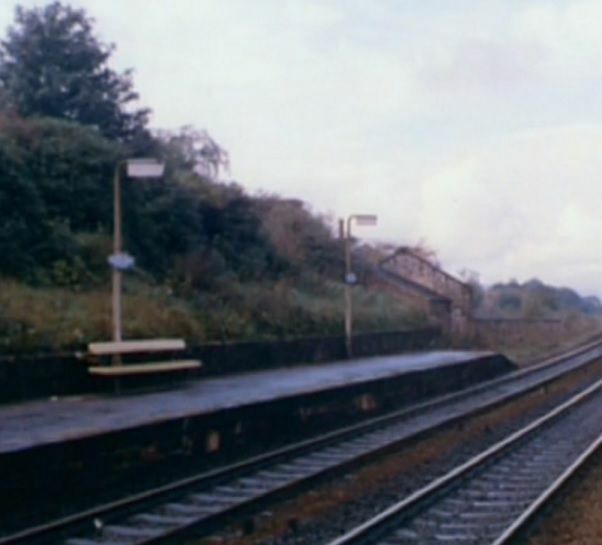 Ch5's InterCity 125 documentary telling the story of the iconic HST, included some rare vintage film of the train and its construction as well as these gems from a street lighting perspective. Thanks Simon, I spotted those too. 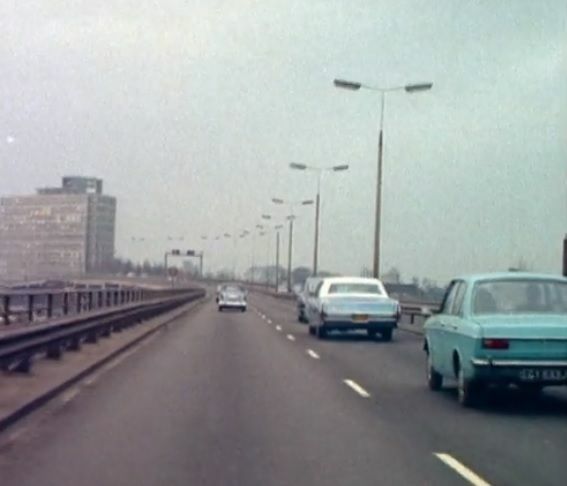 I think the first image is the A40 (M) in London. The acclaimed Nordic noir, The Bridge is currently showing series 4 on BBC2, having gone mainstream and transferred from BBC4. The opening title sequence features aerial night shots of the Øresund Bridge a combined motorway and rail bridge linking Denmark and Sweden. In the titles for the first 3 series, the bridge was lit with SON using typical Danish styled lanterns. Thanks for the link, I had no idea this had been televised. Good to see Mike Barford on the camera and glad to see he was sporting his usual sense of humour that often shows through in his Youtube comments. 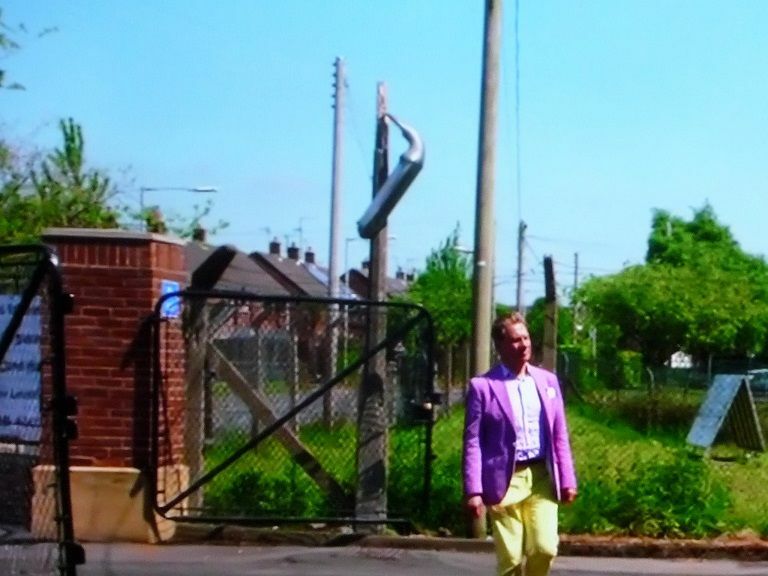 Spotted on tonight's Great British Railway Journeys at a linen mill near Scarva in Northern Ireland is this Siemens lantern on a failed CU column. It looks to be too short to be the Kuwait lantern that used 5ft tubes, especially on a 15ft column and looking at Simon Cornwell's site it may be either of the incredibly rare Carpenter that used 3ft or the Crawley that used 4ft tubes. Almost worth a trip over to rescue it! The gates remind me of those that used to be common place especially on schools built in the 1950s and 60s! It is a Crawley to my eyes. The Crawley used 2 x 2ft 40w tubes, it was the Court that used 3x4ft, 40w tubes.